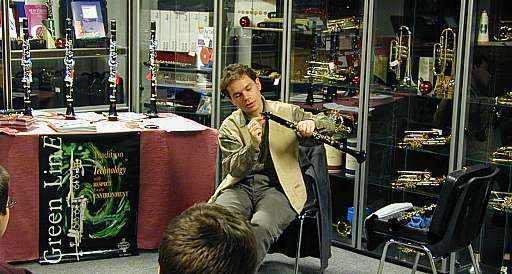 An amazing circular breath demonstration, and influence of the CO2 level on your breath air for your sound quality !! 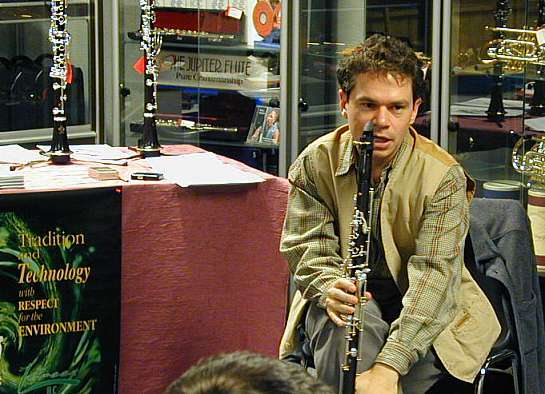 The Swiss clarinettist Fabio Di Casola is the winner of the 1st Prize at the CIEM International Music Competition in Geneva and attracted international attention. 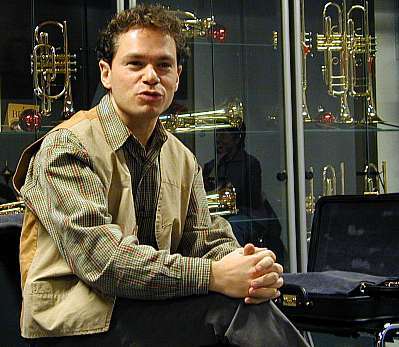 After that he was invited to leading international festivals such as the Evian Festival by Mstislav Rostropovic or the Berlin Festival by Claudio Abbado. 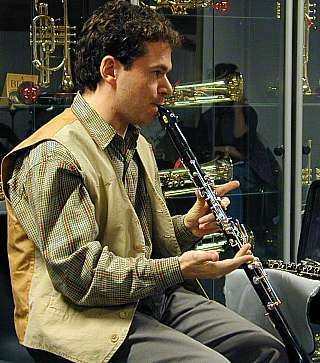 The out of one piece hand made clarinet by Luis Rossi in Chile stands out through an extraordinary flexibility and the warmth of the sound when played by Fabio Di Casola. 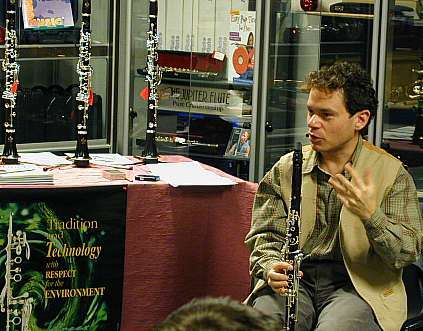 He is the winner of several further competitions such as the "Grand Prix Patek Philippe", "Prix Suisse" for contemporary music, and of the international competition of contemporary music in Stresa. 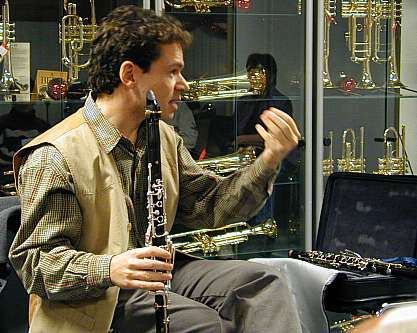 These awards are path breaking for the valuable and numerous music productions with first class conductors, soloists, and chamber ensembles. By name: Mikhail Pletnev, Vladimir Spivakov, Armin Jordan, Heinz Holliger, "Carmina Quartett", and "Sine Nomine". 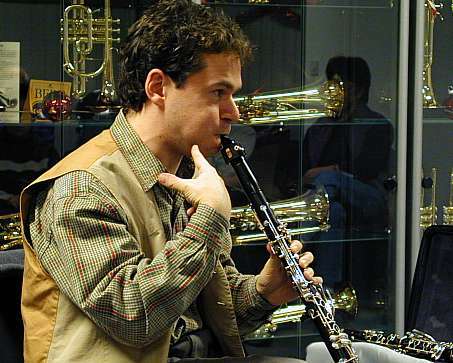 A jury of experts and the audience elected Fabio Di Casola as "Swiss Musician of the year 1999" in Geneva. 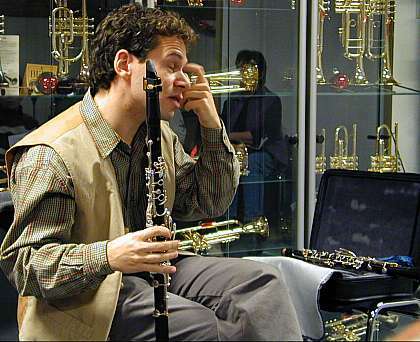 He plays on Buffet & Crampon and Rossi clarinets and use a Rovner Eddie Daniel II ligature.